You're currently viewing product Side Straps in category Sign Brackets. Hand forged wrought iron side straps are a better way to suspend large ovals compared to using screw eyes in the top edge. 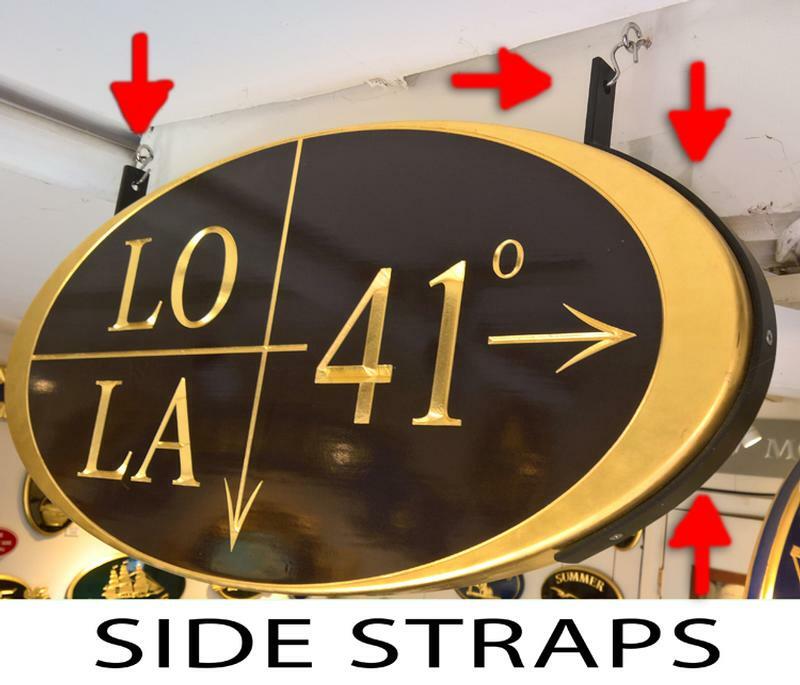 These insure the sign will not swing freely, which can cause damage especially on larger signs. They come installed on the oval ready to attach to a scroll bracket or to an existing cross arm. All necessary hardware is included. An order comes with two straps (one for each side). 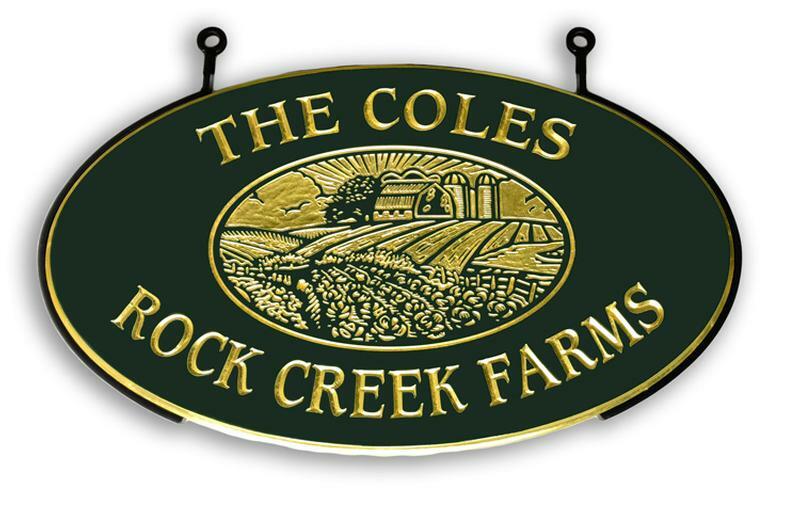 They can be used on oval sizes 9 x 14 ½ inches and larger. Please call (800 547 4467) with any questions.